Doesn’t they look outstanding? I love Pop-Tarts. I haven’t made them yet, but believe me, they’re on my list. 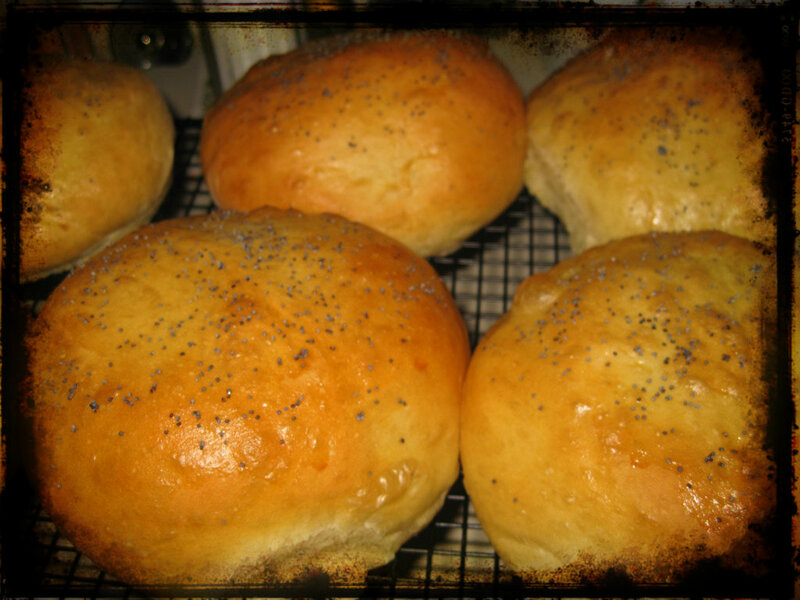 What I decided to make this week was Alana’s recipe for Hamburger Buns. Bob and I grill burgers quite a bit, as probably everyone does in the summer. And I’ve always been so incredibly frustrated at the market when buying buns – it is damn near impossible to find hamburger or hot dog buns that do not contain high fructose corn syrup (it’s not corn sugar – not now, not ever). Once in a while I can find an organic brand of hamburger buns that doesn’t have it, but those are rare and extremely expensive (I don’t know about you, but I have a hard time paying $5.29 for a package of bread, especially since bread is so easy to make at home). And HFCS-free hot dog buns just don’t exist. Why? 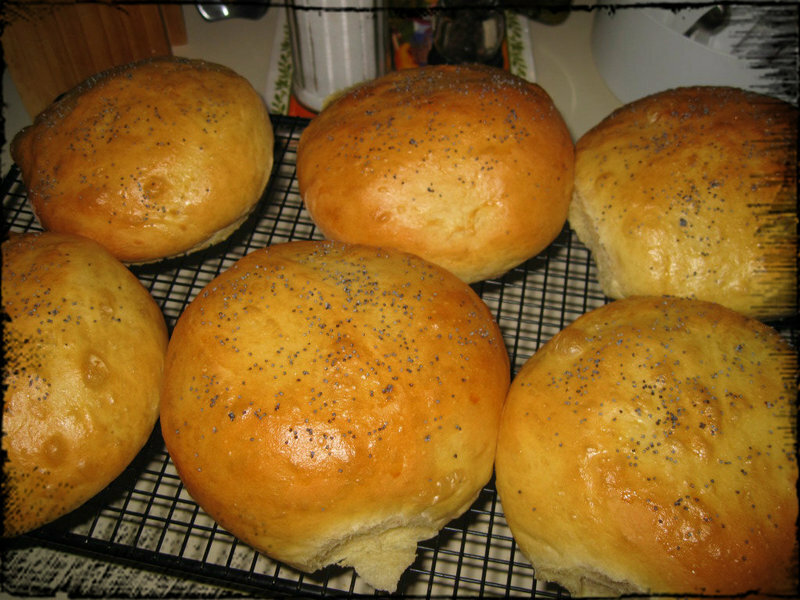 Good news, though: after making these once, you better believe I won’t ever be buying store-bought hamburger buns again. So easy, and soooo good. I don’t want to reprint Alana’s recipe here without her permission, so I’m going to link you to the recipe through the Cooking Channel, who was granted permission – click here to see the full recipe. But better yet – go buy the book for yourself! 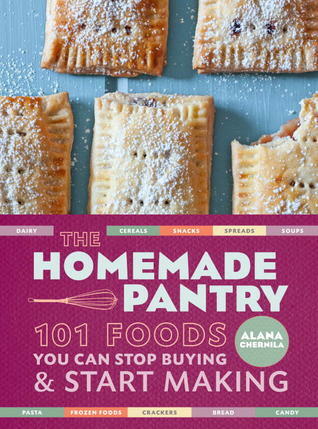 It’s filled with simple and delicious-sounding recipes, gorgeous photography, and funny stories to accompany each recipe. Alana adds a human touch to the cookbook, peppering the pages with anecdotes about her family, her neighbors, and her life. I feel like I know her after having read it. YES – I read a cookbook, from start to finish. And I’m pretty excited that in a few weeks I’m actually going to meet Alana – she’ll be coming to From Scratch Club’s Troy food swap on August 19 (sold out – sorry), and I plan on chatting with her for a bit, maybe get an interview for the blog, and hopefully convince her to do a book signing in Schenectady! She lives in western Massachusetts, and she does come to the Capital Region quite a bit for events and the like. I can’t wait to meet her. Anyway, how’d the buns turn out? Damn good. The end result is a bun that is light, fluffy, eggy, and sturdy enough to stand up to a half-pound hamburger patty, if you like burgers that big. I think I added one too many eggs to the dough (counting is HARD), but it didn’t seem to affect the dough much. I had to add a bit more flour than called for, but not a lot. The recipe calls for mixing everything together and kneading the dough by hand, but I like the ease of my stand mixer so I used it for mixing and kneading. Love my KitchenAid – 16 years old and still going strong (thanks, former mother-in-law – I think of you fondly every time I use it). 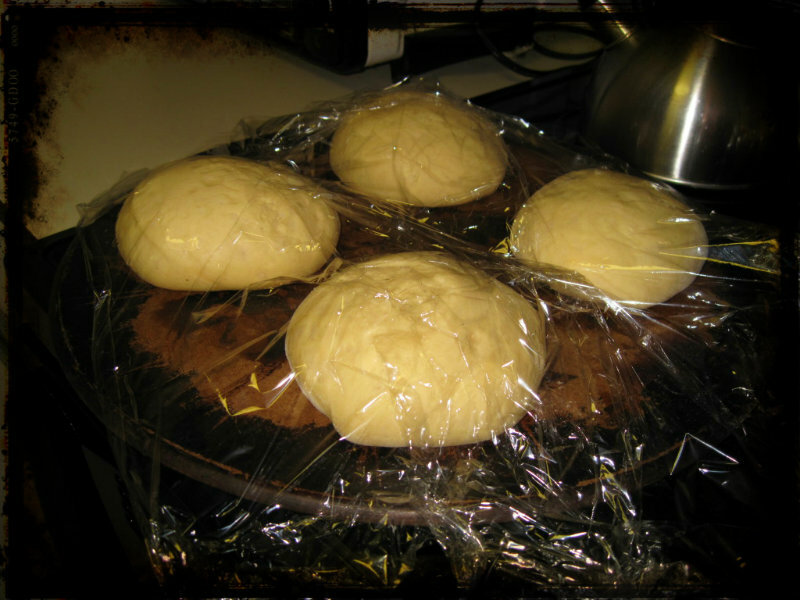 The recipe as written makes absolutely ginormous buns – maybe I let the second rise go a bit too long – so I think next time I’ll divide the dough into ten portions instead of eight. These buns are more than mere hamburger delivery vehicles, too – Bob sliced one up and buttered the slices (they reminded him of the small loaves of bread you get at Spa Brauhaus in Malta), and I made and egg-and-cheese sandwich on one for breakfast this morning. Stellar. I think tomorrow I’m going to try one as part of my favorite guilty pleasure: a peanut butter and butter sandwich. Oh, shut up. I know you secretly like them too. Look at these pictures!! Aren’t you hungry?? 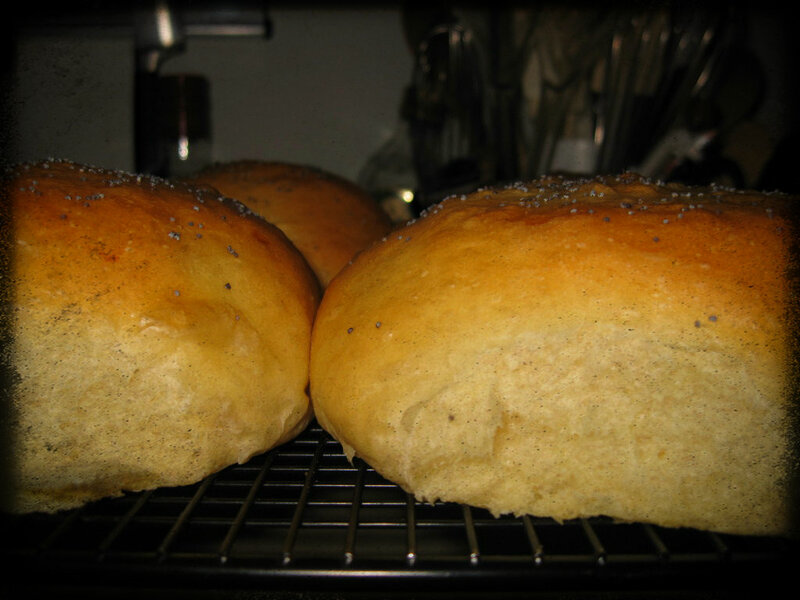 These things were huge, even before the second rise! They look relish! Grill an extra burger for me next time and I’m so there! DELISH not relish. We’ll save the relish for a hotdog bun adaptation. Love it! I too am floored by the awfulness of supermarket hamburger buns. These may be my gateway to baking. Really easy to make. And quite tasty. I am plotting the hot dog buns. I’m sure they aren’t as good as these, but Aldi’s Hot Dog and Hamburger buns are both HFCS free. And very cheap.